With the introduction of horizontal fan coils, Unilux VFC has become the one-stop shop for your development’s HVAC needs. Applying our 40-plus years of vertical fan coil experience, Unilux VFC has created a compact, flexible and easy-to-install horizontal fan coil. 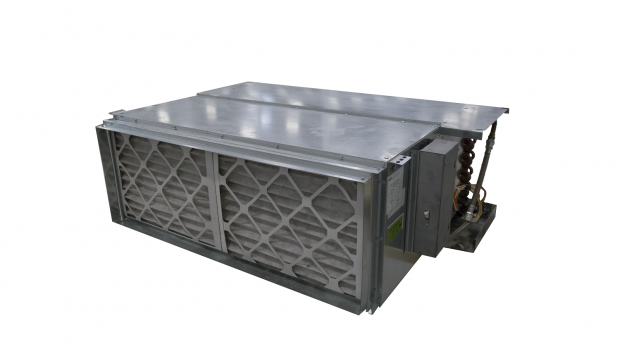 The high-capacity fan coil is available in 2-pipe and 4-pipe configurations and can be concealed in an 18-inch-high space. Easily hide the fan coil in a drop ceiling (suspended above the ceiling) or a boxed-in drywall location (with an access panel). The mounting options and height make the horizontal fan coil the perfect HVAC solution for amenity rooms & hallways in condos, hotels and more. 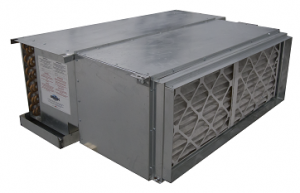 Many configuration options mean the horizontal fan coil is built to suit your needs. Choose your airflow direction, motor type and airflow velocity to create a unique solution. 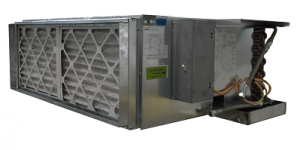 We offer airflow velocities ranging from 600 up to 2000 CFM. Auxiliary electric heating and higher capacity water coils are also available for extra effectiveness. 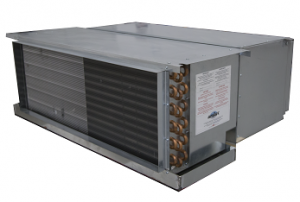 Complete your development’s HVAC solution with a horizontal fan coil from Unilux VFC. View the product specifications and technical data for more details.